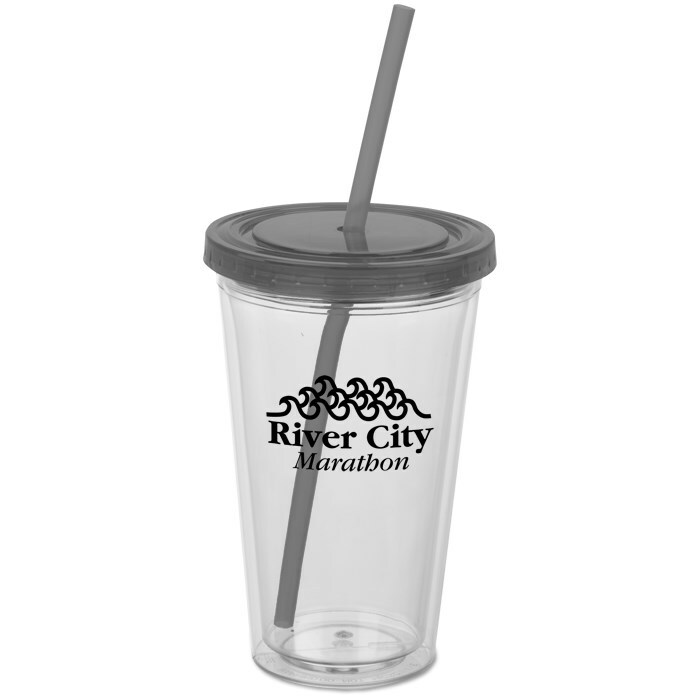 Fancy up your drinking cup with this neat design--24HR turnaround! 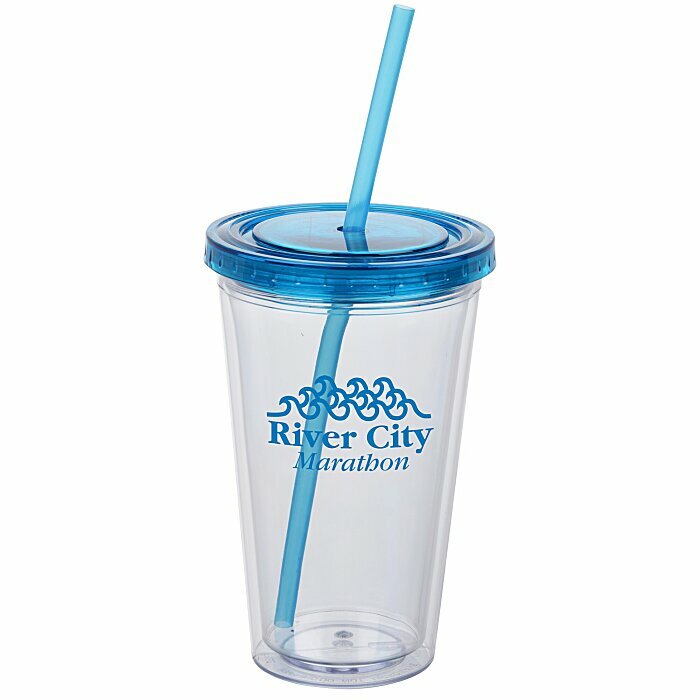 This clear reusable tumbler looks just like a to-go cup, complete with a plastic lid and straw. Lively trim colors juice up your logo! 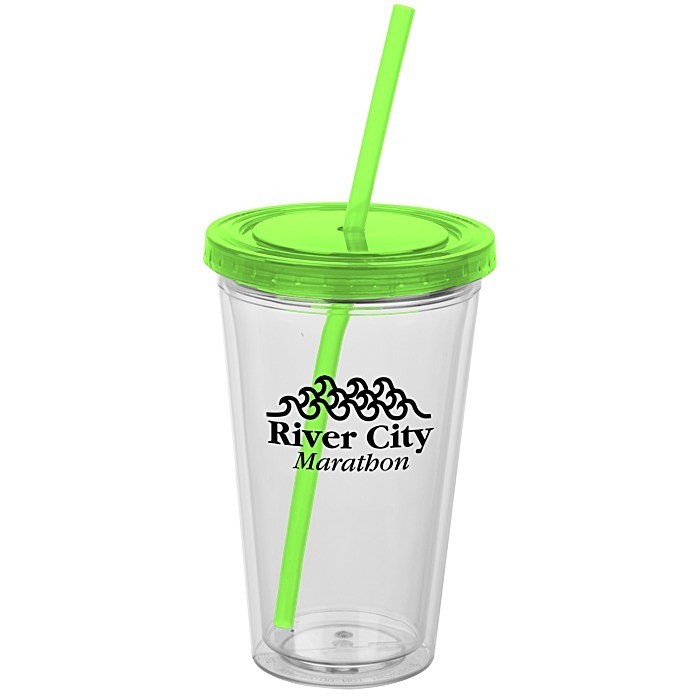 The lid and straw colors match for a color-coordinated effect.